Premier custom home builder in Sussex County, Delaware for 28 years! 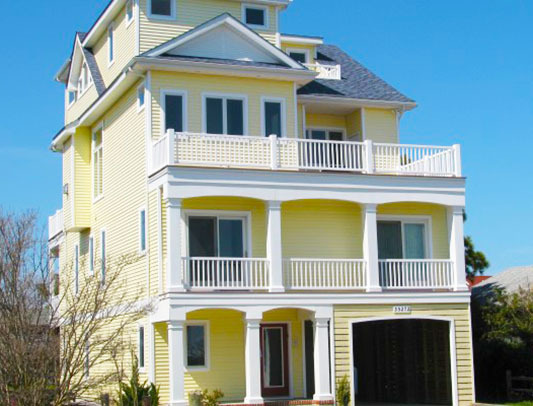 Jim Parker has been a premier custom home builder in Sussex County, Delaware for over 30 years. He has continued a tradition of fine new home building like his father once did. His belief is to use the highest quality materials at a fair market price, the best subcontractors available, and superior personal customer service from start to finish. A positive experience in building your custom dream home! Jim says there are three things a person should consider when choosing a builder; communication, quality workmanship, and customer satisfaction. He is dedicated to superior quality whether you’re a first time home buyer or building your dream vacation home. Jim Parker Builders is dedicated to the customer and providing a positive experience during the entire custom home building process. 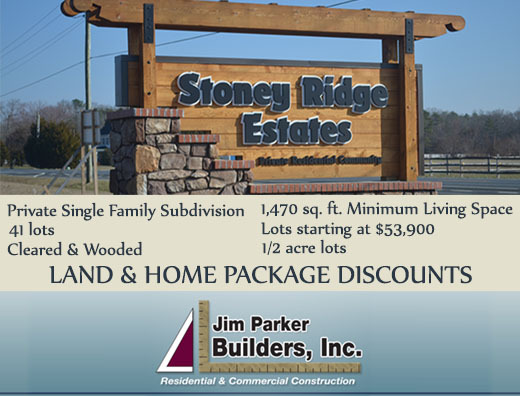 YOUR BACK DOOR TO THE BEACH - Kingston Ridge and Stoney Ridge Estates are located on Route 30/Gravel Hill Rd. in the Millsboro/Georgetown area. We often refer to our communities as the back door to the beach because it is conveniently located between the major connecting roads and short-cuts to our beautiful beaches.